Cheese plays a big role in many specialties in our catalogue. A fair amount of cheese based products depart from our factory in Burgos, heading to every region in the country and far corners of the world. 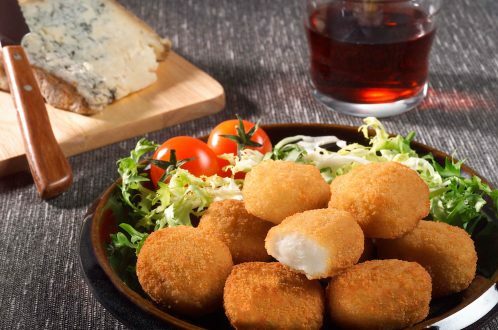 Products like Chili Cheddar Nuggets, Cabrales Cheese Croquettes or Mozarella Fingers enjoy a huge popularity, so much so that in 2016 production topped 1,8 million Kg. A large portion of that, nearly 70%, has international markets marked as its destination. Mostly they are shipped to Europe (France, England, Sweden, Italy, Czech Republic and UKraine, among others). We also export our cheese products to the American continent, Brazil, Chile, Panama, Uruguay, Peru and Guatemala, or Asia, from Azerbaijan to Indonesia. Our R&D&I department, in close collaboration with other company divisions, works in the development of new product lines to meet our different clients needs. “Cheese is a product with many possibilities and a huge success rate. Our objective is to offer innovative products with the maximum quality in order to reach a wide audience”, Eurofrits declares. Mozarella Finger. 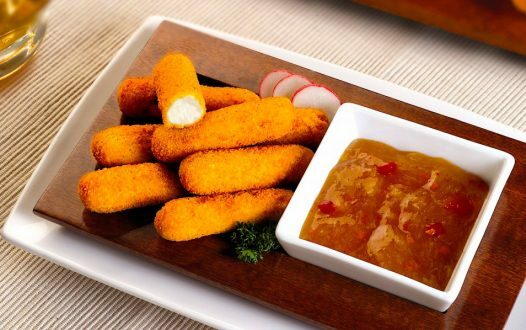 Mild pre-fried mozzarella fingers, coated with golden crispy breadcrumbs, spiced with a touch of garlic and onion flavour. Chili Cheddar Nuggets. 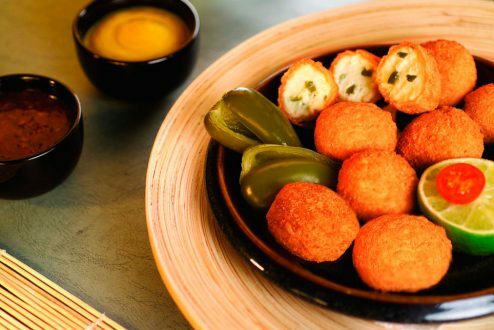 Tasty Snack, nugget shaped made of Cheddar cheese, green pepper and Jalapeno pieces, coated in golden crunchy batter. Cabrales Cheese Croquettes. Produced following the traditional recipe, containing 6% Cabrales cheese, a white creamy béchamel sauce and coated in golden breadcrumbs. Jalapeno Snacks. Stuffed with mild cream cheese and pieces of jalapeño pepper, coated in golden crispy breadcrumbs and prefried. Philadelphia Crispy Snacks. A unique flavour made with Philadelphia cheese, the number 1 cream cheese in Europe. Crusty on the outside and creamy in the inside. 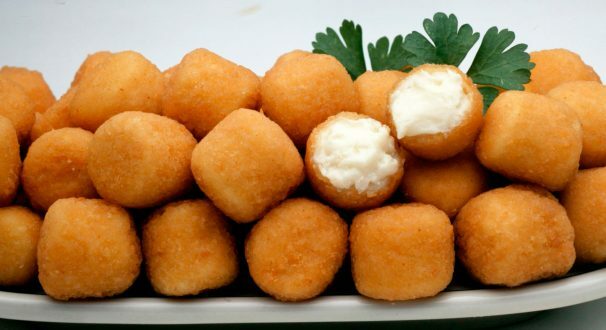 Cheese Bites. Delicious bites made up of different cheese varieties.